An up-and-coming private equity firm turned to Bluetext to develop its brand before announcing its first series of acquisitions. 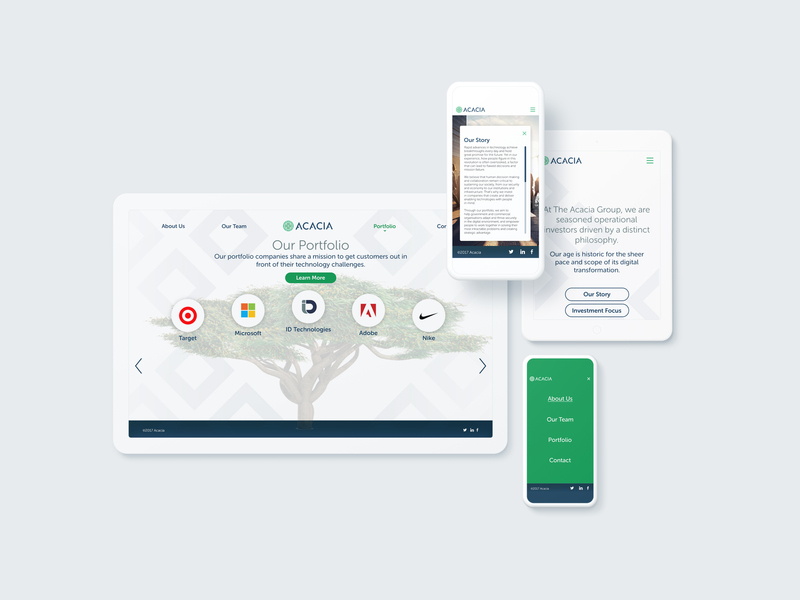 Through the discovery and design process, Bluetext created a corporate visual identity from scratch under the firm’s new name, The Acacia Group. 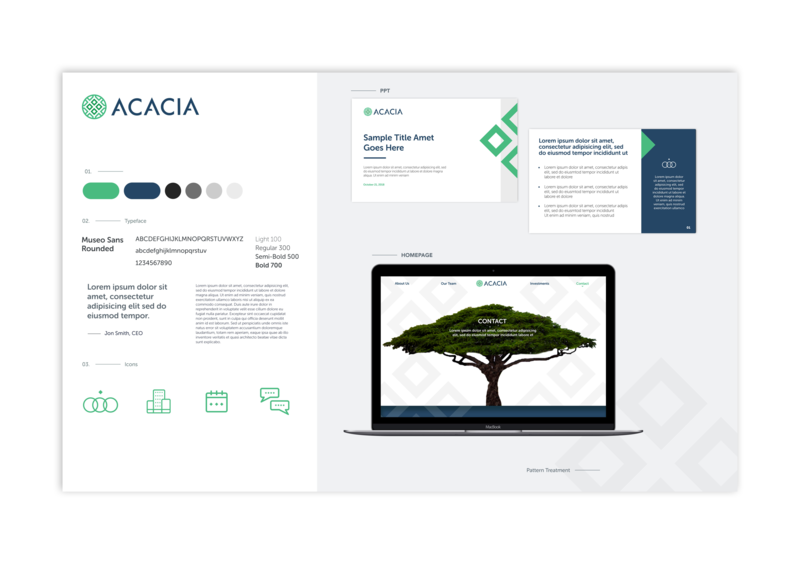 Bluetext integrated various elements of the Acacia tree into the brand, which told the company’s story and represented growth, strength, and longevity. 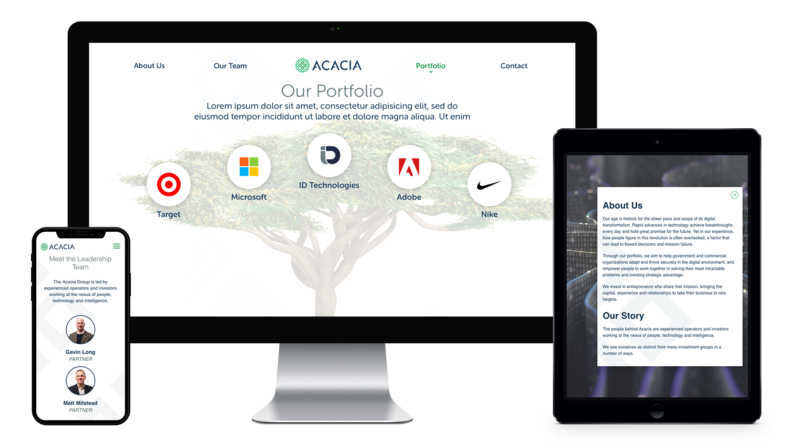 Bluetext integrated the visual look and feel into a stationary system, collateral, and the design and build of a new website. 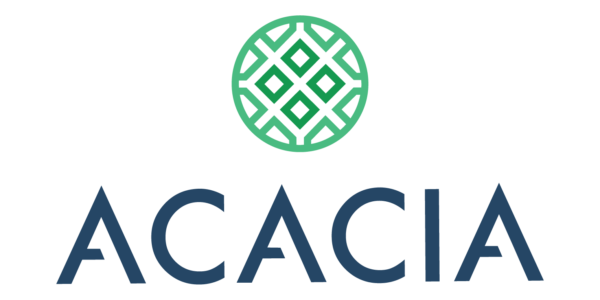 Bluetext was also selected to develop an aggressive public relations campaign that positioned The Acacia Group as seasoned team of investors and operators with a distinct investment strategy focused on the U.S. federal government market. 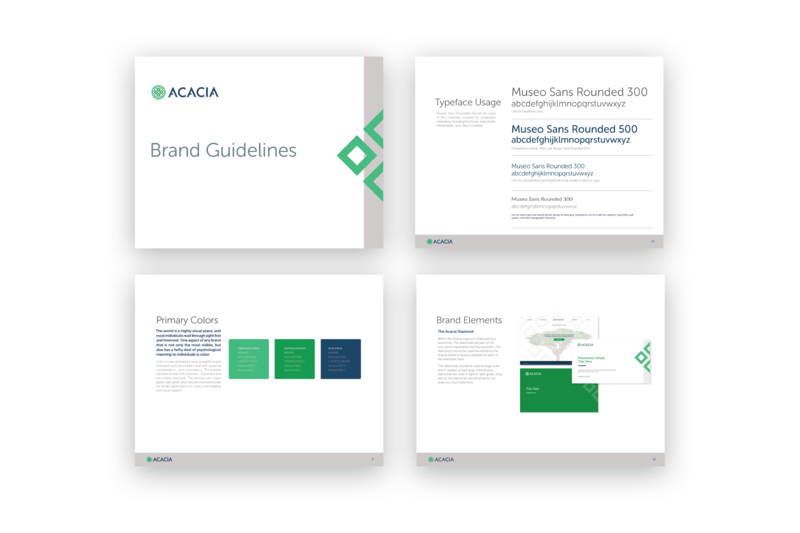 With Acacia, cutting-edge branding and campaigns means reach to its customers. We can do the same for you.